All About Real Estate is proud to present to the market this elegantly appointed elevated family home which requires nothing to be done, it is right ready for you to move straight in, so get packing! Positioned well in the middle of the block, the home has tropical gardens screening it from the street and shading it for a cool and tranquil ambience within. Upstairs is a large living room with gorgeous timber flooring gleaming in the soft dappled light filtering in through the many bays of louvered windows. The dining room sits adjacent to the kitchen and also has access through to the treetop balcony for additional entertaining space and dining options. The kitchen has a pantry and ample workspace along with storage and prep areas to work from. 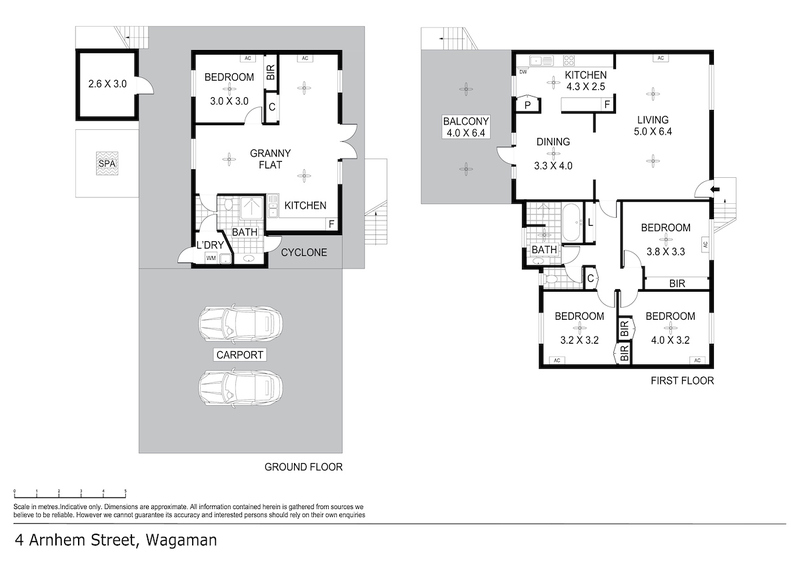 At the opposite end of the home are 3 large bedrooms clustered together that each has a built in robe along with gorgeous timber flooring, louvered window bays and split A/C. The bathroom is central to this area and has been renovated to include a relaxing bath tub plus shower and vanity along with a seperate toilet. Built in under the home is a sleek self contained granny flat with glass French Doors, open plan living and dining area along with a kitchenette and a second ready room plus a bedroom with built in robe. There is also a bathroom here with a separate laundry room and access to the cyclone shelter. The yard wraps around the home and offers a tropical aspect along with rolling green lawns and an easy care take on tropical living. There is a covered spa pad and a storage unit plus a small rear verandah area that is the perfect space to store your bikes or other items. The home has secure gated entryway, carport parking for 3 under the home and resides only a few short minutes from Casuarina Shopping Center, the beach and Leanyer Water Park.